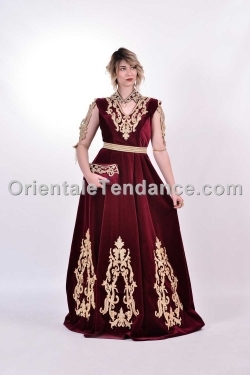 The blouza is a traditional Algerian outfit. - A train dress adorned with pearls and delicately embroidered motifs. - matching trousers (elasticated waist). Ideal for any formal event.